From good witches to bad witches to witches who are a bit of both, this is an anthology of diverse witchy tales from a diverse collection of feminist authors. 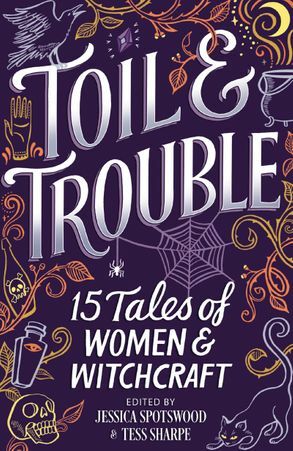 TOIL & TROUBLE delves deep into the wide-ranging mythology of witchcraft from many cultures and feminist points of view to create modern and unique ideas about witchery that have yet to be explored. History is filled with stories of women accused of witchcraft, of fearsome girls with arcane knowledge. 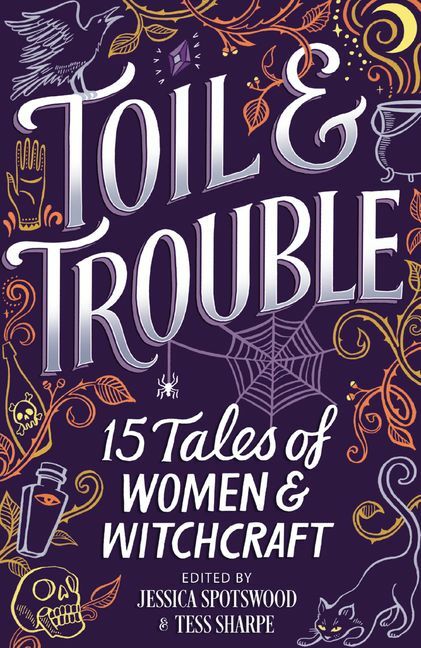 Toil & Trouble features fifteen stories of girls embracing their power, reclaiming their destinies and using their magic to create, to curse, to cure – and to kill. A young witch uses social media to connect with her astrology clients – and with a NASA–loving girl as cute as she is sceptical. A priestess of death investigates a ritualised murder. A bruja who cures lovesickness might need the remedy herself when she falls in love with an altar boy. A theatre production is turned upside down by a visiting churel. In Reconstruction–era Texas, a water witch uses her magic to survive the soldiers who have invaded her desert oasis. And in the near future, a group of girls accused of witchcraft must find their collective power in order to destroy their captors. This collection reveals a universal truth: there's nothing more powerful than a teenage girl who believes in herself.